"Arrived On Time. The Work Was Done To A High Standard. On Finishing, The Rubbish Was Taken Away Too.."
"The Man Was Smart , He Worked Clean And Thorough"
"Everything. Professional, Really Friendly And Did A Perfect Job. Thanks!" 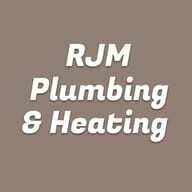 "Turned Up On Time, Efficient, Friendly And Did A Good Job"
Need a Plumber, Handyperson or Heating Engineer in Southend-on-Sea?